Top Canadian Personal Finance and Investments Web Sites you Should Follow Now. Stockchase publishes stock opinions that have been discussed on business television programs, in particular Business News Network. Julien Brault’s Hardbacon is on a mission to turn investing in the stock market a simple and profitable process for everyone. 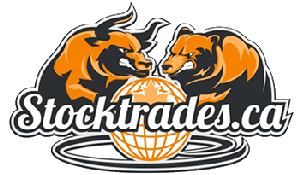 We’re Stocktrades, a Canadian investing resource committed to teaching Canadians the in’s and outs of the stock market and investing in general. For Canadians who want to learn more about investing using index mutual funds and exchange-traded funds (ETFs). We’re millennial money experts, entrepreneurs, investors, and beer drinkers. We believe that Earn. Save. LIVE. The intention of this site is not only to keep track of my financial progress, but to help and educate those who are interested in personal finance and investing. (French) Politics, the major issues of society, culture, travel, and even sport, are all subjects of interest to the bloggers of Le Devoir. InvestorIntel is one of the most trusted online sources of independent investor information publishing a wide variety of industry-related news. Learn and plan with money and life tips from Sun Life Financial. Day-to-day saving tactics and planning tips. (USA) MarketWatch tracks the pulse of markets for engaged investors with more than 16 million visitors per month. PWL Capital is a privately owned wealth management firm that publishes very interesting content on its blogs. Sound financial advice to help you get out of debt, budget and manage your spending, and decide on big picture questions. Budgeting, investing, saving, real estate, being frugal, and smart shopping. Also fitness, travel, and personal well-being. Arm yourself with knowledge, protect your finances and ensure that you have reserves for retirement and the rainy days. Here at Financial Uproar, I have one stated goal — to make you richer. Well, that, and to make you laugh. Tim tries cutting back to find the perfect balance point between spending money and being happy. Just a girl trying to find a balance between being a shopaholic and a saver. A Wealth of Common Sense is a blog that focuses on wealth management, investments, financial markets and investor psychology. Mike tells his story of trying different investing styles. He’s become a dividend growth investor, but not the classic buy & hold guy. Providinges specific step-by-step instructions on how ordinary people can invest their own savings. 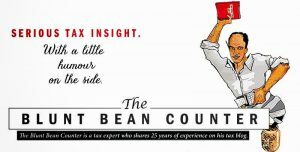 The Blunt Bean Counter, a blog that shares my thoughts on income taxes, finance and the psychology of money. Rubina Ahmed-Haq Personal Finance Expert Helping you understand money better. Baskin Wealth’s believes that the more knowledge we have, the better we can fully participate in growth in the up years, and experience lower volatility in the down years. Money On Trees has focused on promoting financial literacy among young adults. Through their blog, seminars and various online platforms. North America’s gateway to Financial Independence writing about building wealth and retirement. Money We Have is one of Canada’s most trusted sources when it comes to money and travel. This blog is Michael James attempt to explain financial matters clearly for non-specialists. My financial activities can often to be a bit controversial. In finance, a one size fits all strategy doesn’t exist.But we learn by broadening our minds. Educating people about money and personal finance! Writing about all things financial that we encounter, entertain and embark upon. Thirty Six Months, because I read research (I’m nerd like that) that on how it is advisable to be able to pay off all of your consumer debt within thirty six months, otherwise debt fatigue sets in. We feel strongly that there is a need for top quality timeless information. The information and any statistical data contained herein have been obtained from sources which the author of this blog believes to be reliable. Helpful and timely personal finance coverage from the Toronto Star. Latest breaking business news & headlines. Stay in touch with the latest happenings in Local and International organizations and financial sector. Projected earnings are calculated by Globe Investor to reflect the payments over the whole term of the GIC. See full listings for all financial institutions. MoneySense is Canada’s best-selling investment and lifestyle brand about all things money. Modest Money provides insightful investment analysis from a diverse array of investment and financial minds. GetSmarterAboutMoney.ca is an Ontario Securities Commission (OSC) website that provides unbiased and independent financial tools to help you make better financial decisions. Motley Fool is a multimedia financial-services company dedicated to building the world’s greatest investment community. 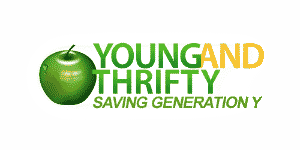 This site provides general info & entertainment & should not be considered financial advice. Consult an independent financial advisor for your specific situation. Stockhouse is Canada’s #1 financial portal and one of North America’s largest small cap investor communities. 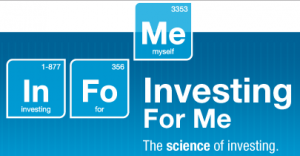 InvestingForMe was developed out of a desire to help individual Canadians gain a greater knowledge, understanding, and control of their savings and investments. My strategy is to invest in dividend growth stocks in order to reach financial freedom at an early age. My end goal is to have my dividend payments cover my expenses. Morningstar provides data and research insights on a wide range of investment offerings, including managed investment products,publicly listed companies, private capital markets, and real-time global market data. We analyse selected Canadian and U.S. stocks and rate them on a scale from Strong Buy to Strong Sell. The Dividend Ninja combines a diversified portfolio, with both Passive-Index and Passive-Dividend Investing strategies. The Ninja invests in low-cost Index Funds, Index ETFs, and blue-chip Dividend Paying Stocks. It’s about investing your time, your money, and your energy wisely, in order to achieve your goals. A value investor that uses swing trading techniques to manage his position sizes and risk shares opinions. Get Rich Slowly was founded by J.D. Roth in April 2006. 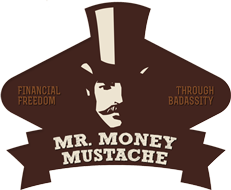 He shared his personal stories about debt elimination, saving money and practical investing. WealthBar’s blog presents market updates, personal finance tips, and WealthBar news. Wealth Professional is a free online information resource for all Canadian advice and planning professionals. Nest Wealth’s blog helps you focus on your long-term goals and transparency in the financial landscape. TSI Network is the online home of Pat McKeough’s highly successful family of investment publications. BNN is Canada’s Business News Network reporting on finance and the markets and making you a successful investor.